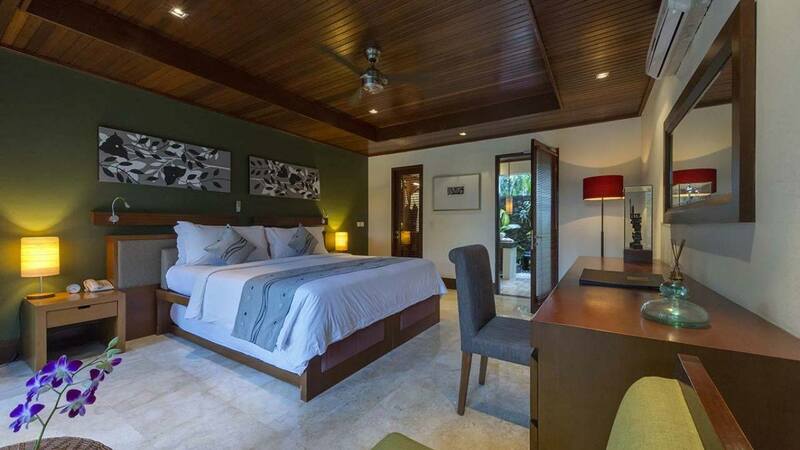 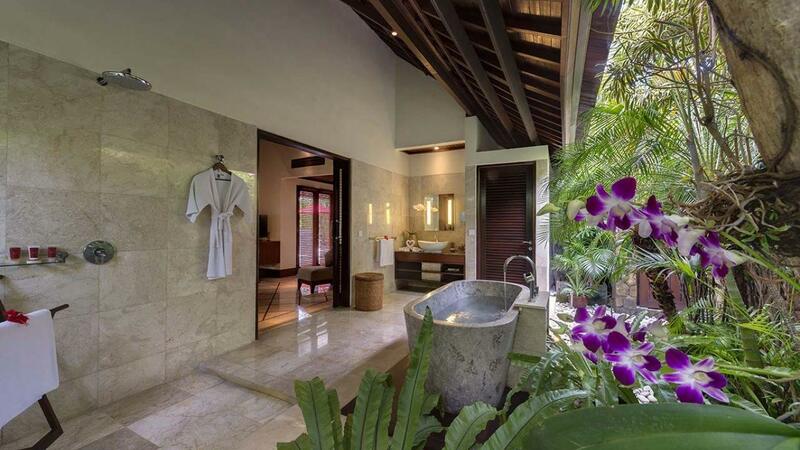 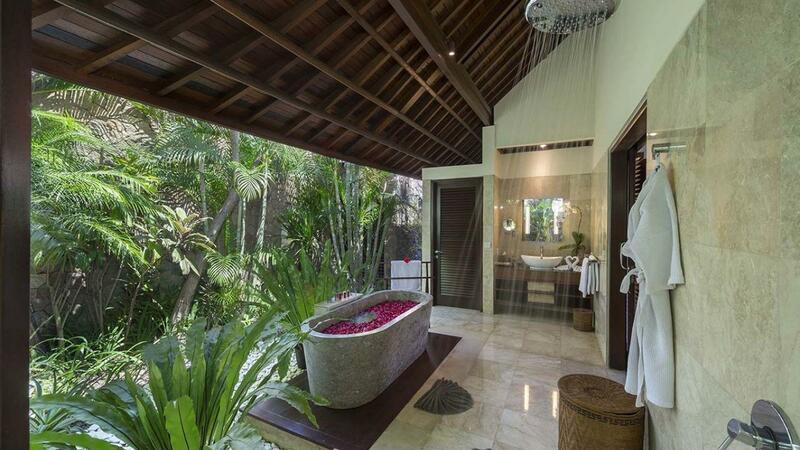 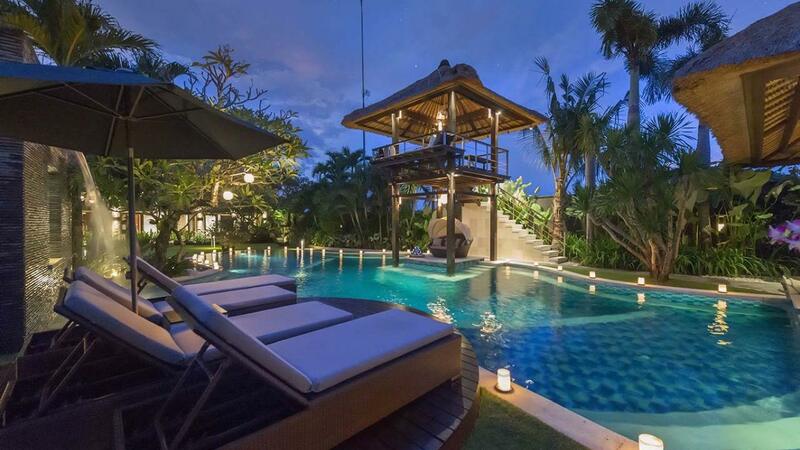 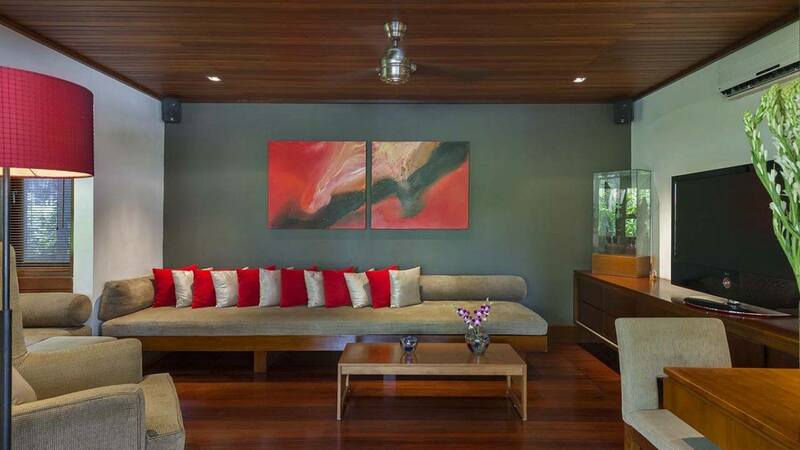 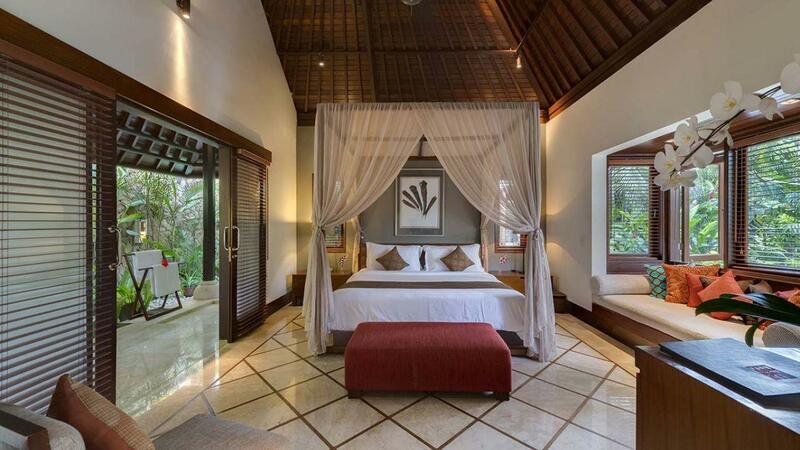 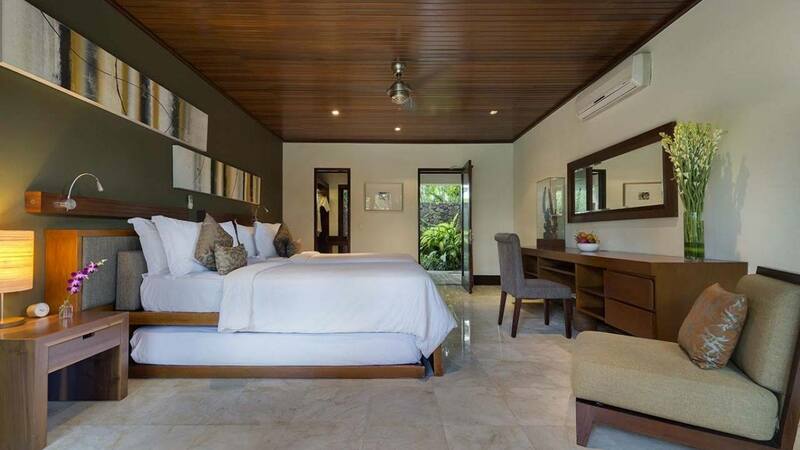 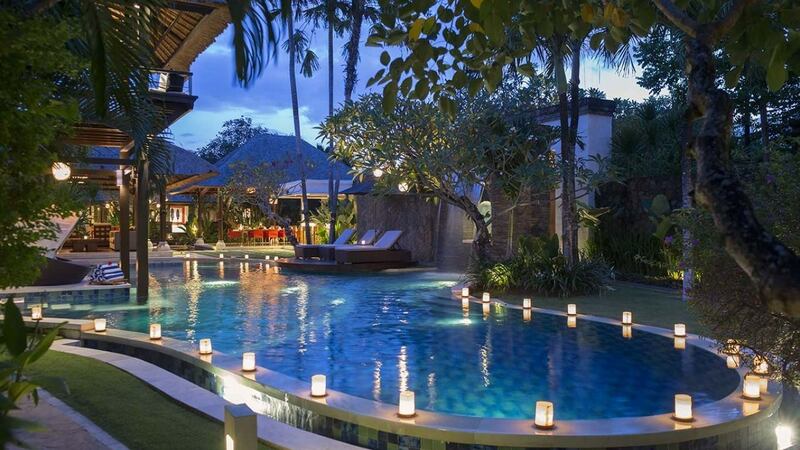 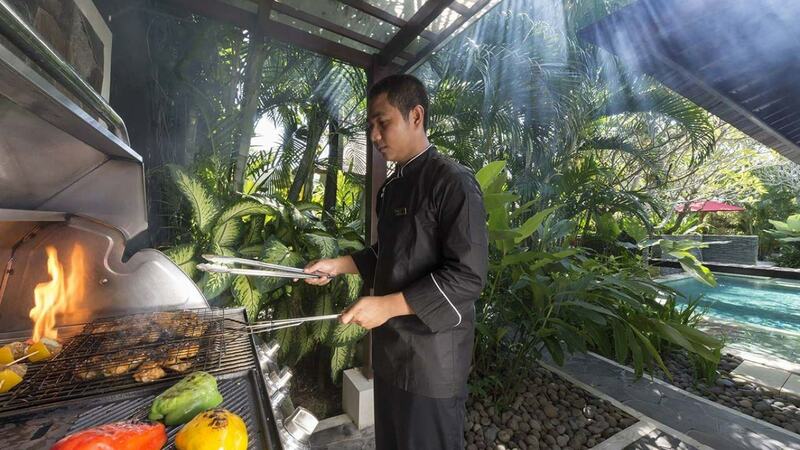 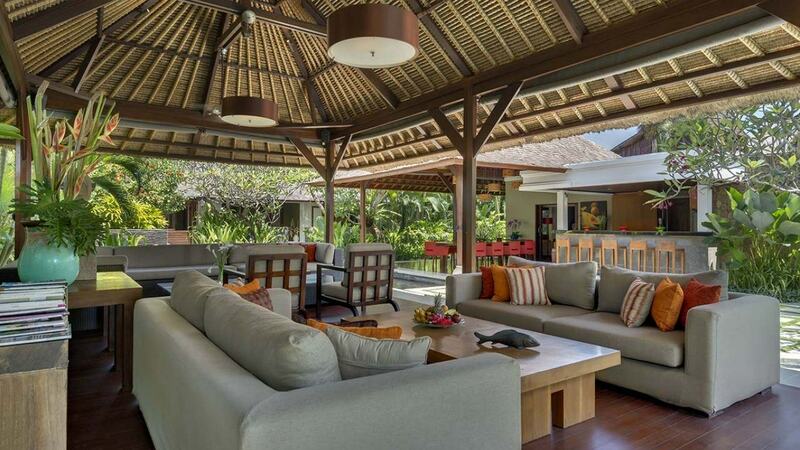 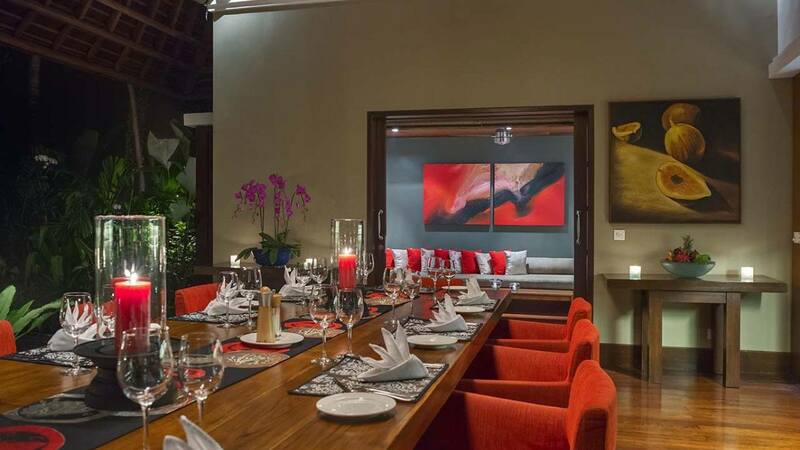 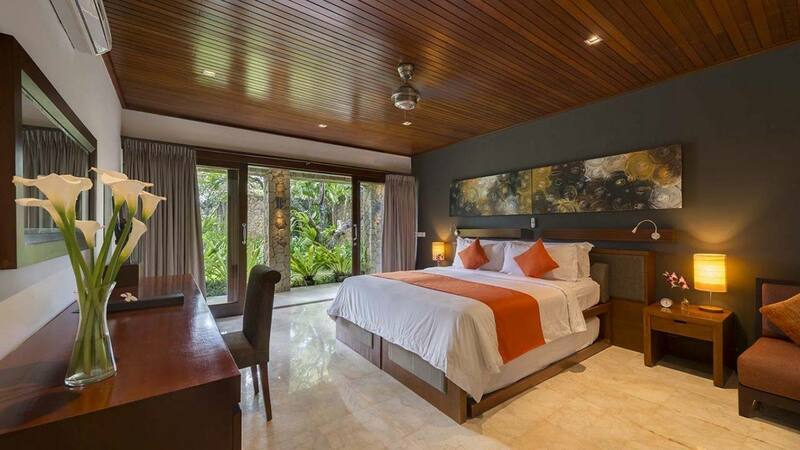 Villa Nancy is a spectacular Balinese villa that is only a short walk away from Batubelig Beach. 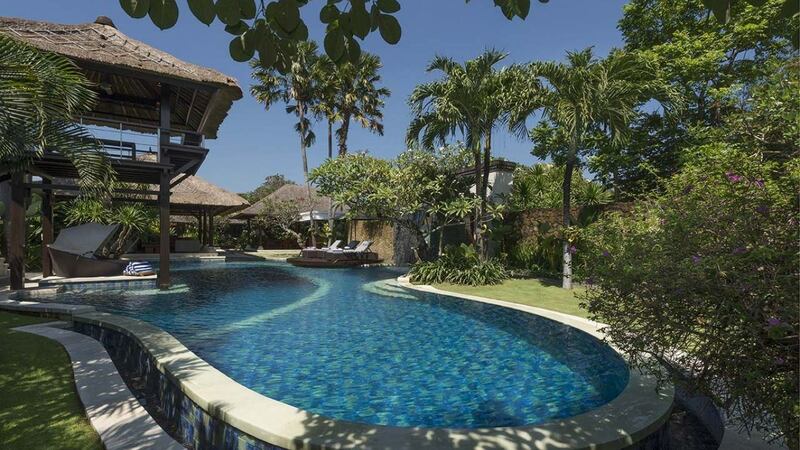 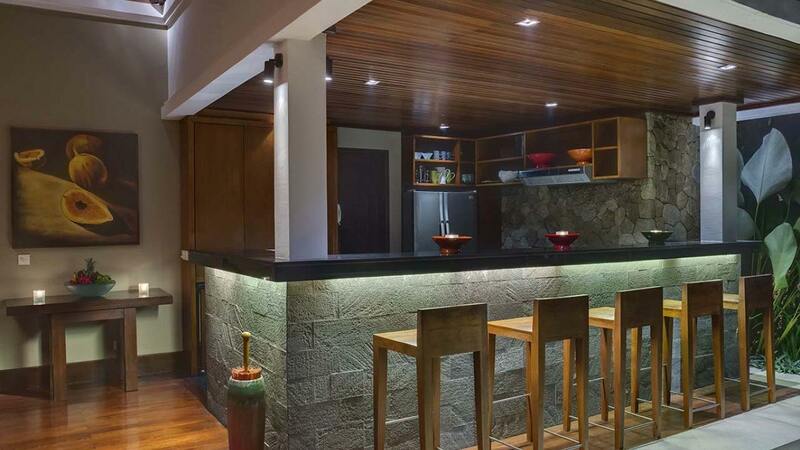 Designed by internationally renowned architect Guy Morgan, the villa has ample space for families to holiday together and had a range of amenities to amuse kids as well as welcoming space for the grown-ups. 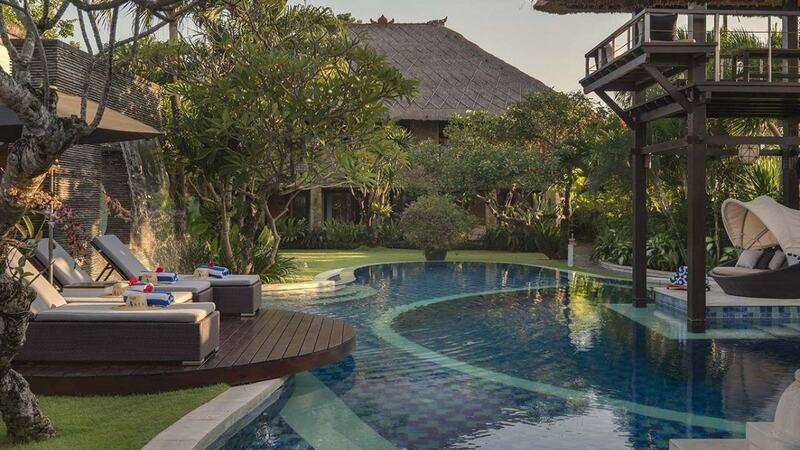 This residence weaves its magic the moment you walk through the entrance and glimpse the pool, shimmering beyond a waterfall, framed within a circular opening in the wall. 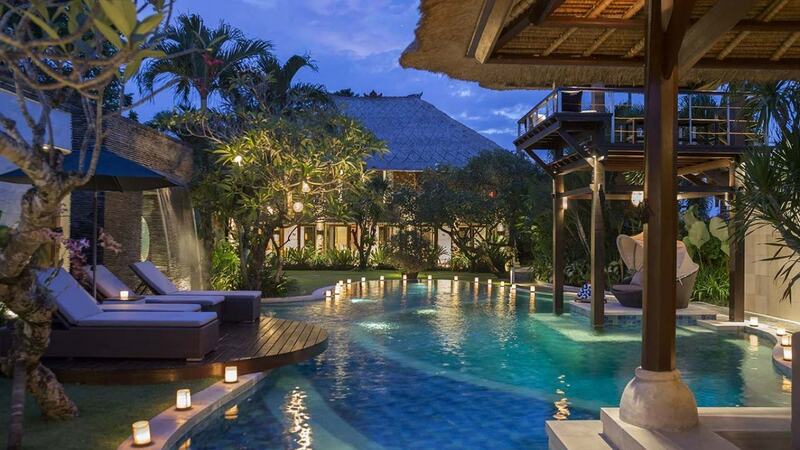 The pool-edge living pavilion of Villa Nancy features an open-plan living with sliding doors that open on all four sides. 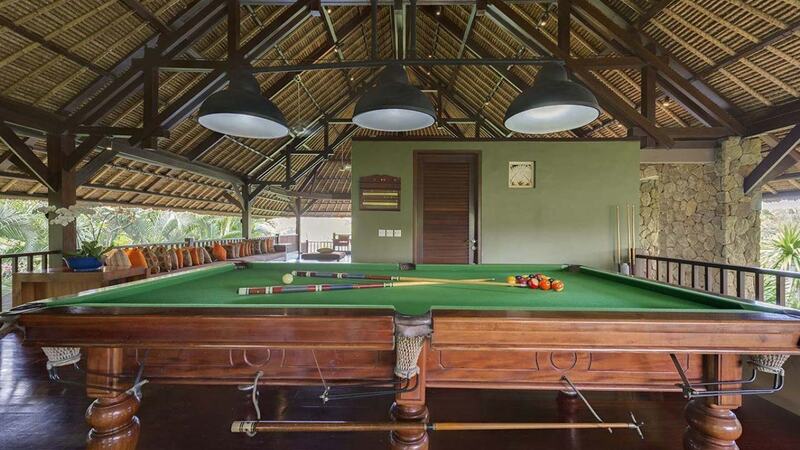 At the far end of the pool, the huge upper-floor games room also promises hours of fun, with its pool table, table tennis, home theater and computer. 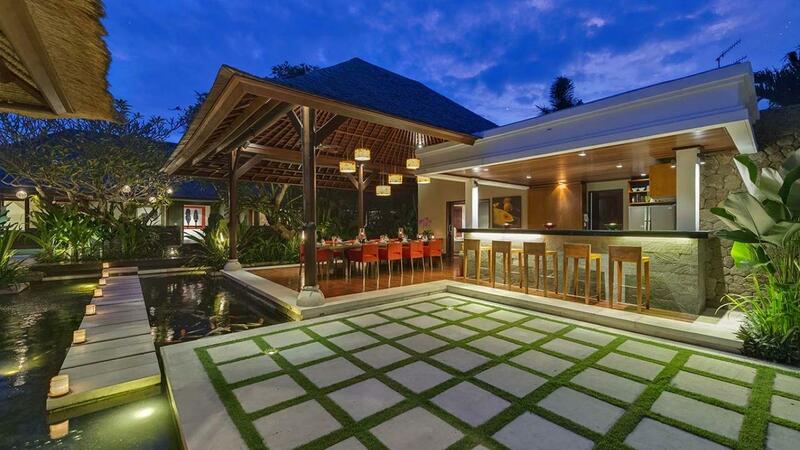 This lavish estate features five expansive bedrooms. 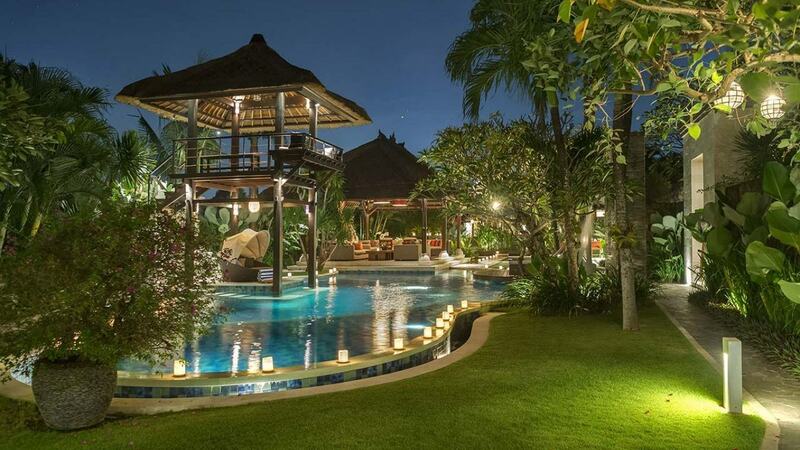 Outdoors, the well-maintained garden is dominated by a swimming pool with a nearby bale. 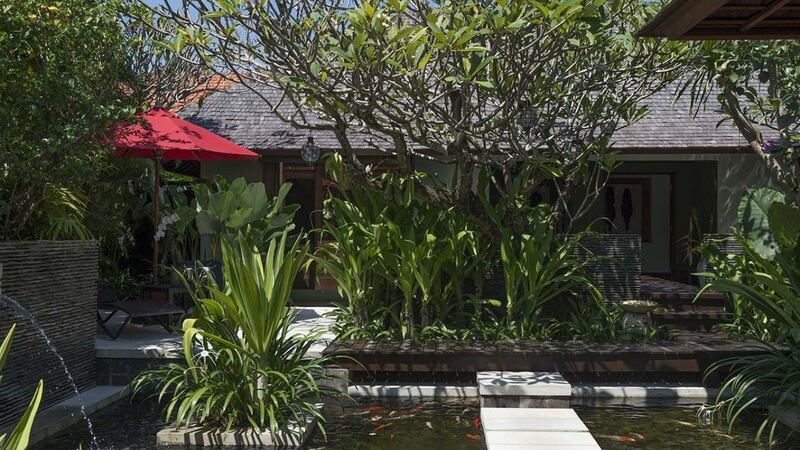 At the far end of the garden is a walled grass court suitable for playing badminton, tennis, volleyball, football and other games.